New York born, strong featured, narrow eyed actor who has portrayed a mixed bag of both good and bad guys! First turned up on screen in several minor roles, and got himself noticed as the villainous “Nero The Hero” in the low budget road race Death Race 2000(1975), and then as “Clem” the sadistic rigger, breaking Jan-Michael Vincent’s ribs inWhite Line Fever (1975). He cropped up in the hit TV series “Cagney & Lacey” (1981) as honest Police Detective Isbecki, and then got on the wrong side of rampaging Sylvester Stallone in Rambo: First Blood Part II (1985). 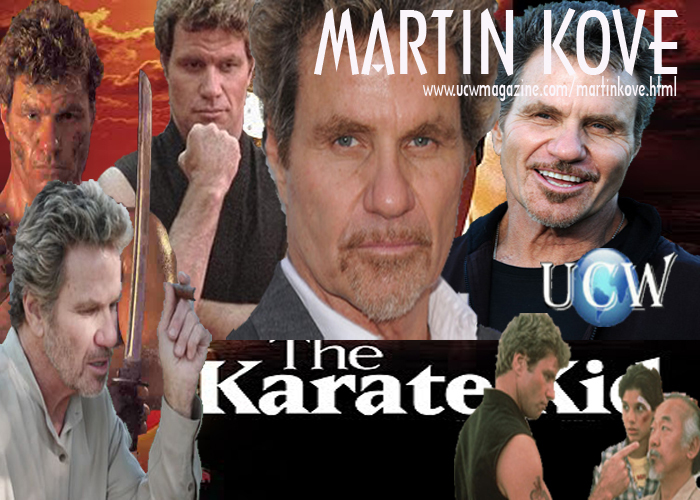 Kove probably scored his greatest visibility to the public ( in the hugely successful The Karate Kid (1984) in which he played “John Kreese”, the head instructor of the Cobra Kai karate school, and he reprised the role in the two sequels, The Karate Kid, Part II (1986) and The Karate Kid, Part III (1989). Kove has since kept consistently busy, primarily in the action / thriller film genre, and has notched up over 80 film appearances to date, as well as numerous TV guest roles.